“Can we go apple picking on the 4 day break?” Sounds like a simple enough question but let me put this in context. This was a text from Justin. Apparently this is his way of letting me know that he’d be home from college for a few days in October. To be honest, I’m glad he’s going to be around for a few days and I’m even more thrilled that he wants to continue the family tradition of apple picking in the fall. I usually end up making pies, tarts and apple sauce but this year I trolled the internet for inspiration. 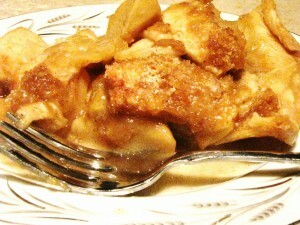 Here’s my apple recipe roundup (including one of my own – yeah, I know shameless self promotion!). 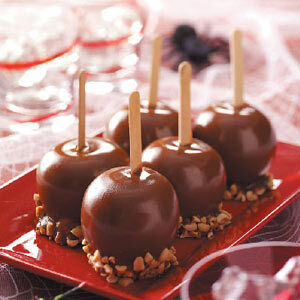 I haven’t made, or eaten, a caramel apple since I was a kid. This recipe looks simple and delicious. If you’re allergic to nuts like I am, just leave them out. Okay, okay. 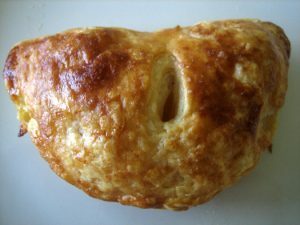 I know this recipe is a little labor intense but one look at the flaky crust and apple filling inside and I was hooked. I’ve never made a hand pie. Shocking! But I am gonna give these little babies a try. I especially like the crust recipe. A hint: sour cream. Yes. Now go check this recipe out. If you ever need recipe inspiration, I highly suggest you check out Smitten Kitchen. I added this recipe to the roundup because I’m always looking for a fruit recipe to add to the holiday breakfast buffet. 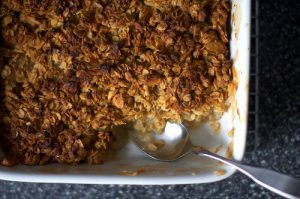 Apples keep well if they’re stored properly and I’m picturing this Breakfast Apple Granola Crisp on the breakfast table sometime during the Thanksgiving holiday weekend. Smitten Kitchen suggests eating any leftover crisp with yogurt for breakfast. Please let there be leftovers. Doubtful but one can always hope. I love muffins. They’re great for making ahead when you have company or for every day. 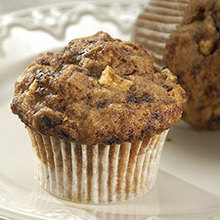 Muffins are easy to grab and go. This recipe call for white and wheat flour so they’ve got to be healthy, right??? When we were kids we had apple trees. 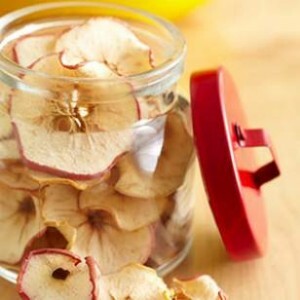 My mom used to dry apples by peeling, coring and slicing them thinly. Then she would spread them out on cookie trays, covered with cheesecloth and let them dry in the sun. They weren’t pretty (they turned brown) but they were really good. We would eat them as a snack or she would hydrate them and make dried fried apple fritters with them in the winter. This is a modern take that results in a pretty (literally) tasty treat. Hint: no cheesecloth required but you’ll need an oven. And while I’m on the subject of my favorite childhood memories, I have to include my mom’s apple pie with crumb topping recipe. It’s the pie of my childhood and it’s pretty darn good. So that’s it for this roundup. If you have any apple pie recipes that you think I should add, please leave them in the comment section below. Thanks! This year I peeled, cored and sliced apples (thinly), added cinnamon and sugar as I would for pie, and lined the slices in the center of sheets of store-bought puff pastry. Baked in 400 oven until pastry was golden. It was quck, easy and delicious. Sounds wonderful! And I bet it was pretty too.